Here at The Kaiser Martin Group, we are capable cutting, welding and fabricating most any project for our customers. If you need custom metal work completed, give us a call and we can provide a quote for you. 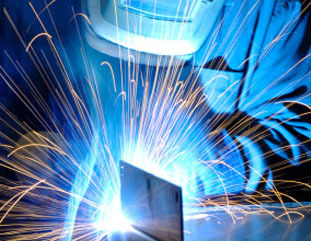 We have decades of experience in fabricating custom metal work of all types. Our welders are trained and periodically re-trained in the latest welding and safety practices to work safely and efficiently. We have performed custom metal work for customers in a wide variety of industries including mines, quarries, concrete plants, and waste water treatment plants. When we design and fabricate for our customers, we do not design to a minimum as many builders do. We carefully listen to your needs and design a well rounded and complete solution for you no matter the project. Call The Kaiser Martin Group today for all your welding and fabrication needs.